Tim was great. They are very friendly and customer oriented. When we arrived to test drive a vehicle we were interested in he also had two other options ready for us just in case. I thought that was awesome and great customer service. 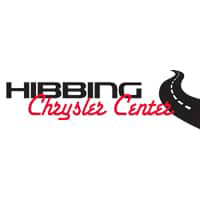 Everyone at Hibbing Chrysler that we dealt with was very nice. We recommend anyone to visit them if thinking of buying a new or used vehicle. Thanks Tim for making this the easiest car purchase we have every had! Great. Got just what he wanted. Best sales and finance team in the north! Loving my new jeep!